Today is World Book Day, and to celebrate I have asked an amazing selection of children’s authors and illustrators to let me know which book they would choose to give away to children ( à la World Book Night) to give them the “reading bug”. Many thanks to those who have so kindly agreed to take part! I hope you will enjoy the huge selection of books that has resulted from this. This simple tale of a missing Mum is one of the oldest stories on the planet but, as the song goes; ‘it ain’t what you do it’s the way that you do it’ and Waddell and Benson ‘do it’ to perfection. 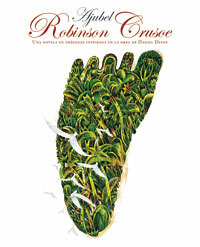 It is a novel written with images, inspired by Daniel Defoe’s text. 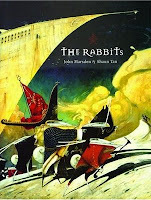 The illustrations are stunning and it is beautifully produced by Media Vaca. This is a very special book… If you have it, you have a little treasure. It was my favourite as a child and I still love it. 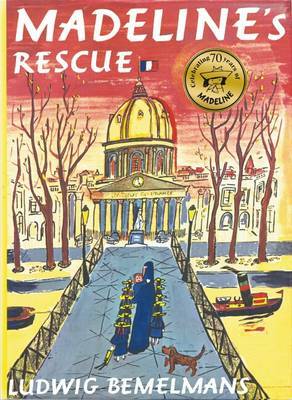 I love the drawings and the landscape of Paris but it is the characters – Madeline – obstinate and daring,(‘Nobody knew so well how to frighten Miss Clavel’) and Genevieve the dog – beautiful, calm and brave, who keep us on the edge of our seats in a story that is full of drama and sadness and finally arrives at a perfect ending where there is ‘enough hound to go all around’. It’s an important book for lots of reasons, but most of all because it forces the reader to look at things from a different point of view – probably a point of view they would never have considered before. That’s part of what makes books special, as far as I’m concerned. They let you see inside someone else’s head and occasionally, a very special sort of book can leave you a better person than you were when you read the first page. Looking for JJ is exactly that sort of book, and every teenager should read it. 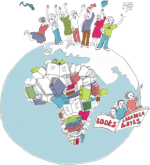 Recommending books to give away on ‘World Book Day’…what a wonderful idea! If I had total free choice, I’d cheekily give away a whole series because I love books where the adventures link and lead on from each other…but I think giving that as my answer might be cheating! It’s still so difficult to choose just one book…and so if I couldn’t give away a whole series I’d be really sneaky and chose two stand alone novels! Trust me…they’re brilliant! 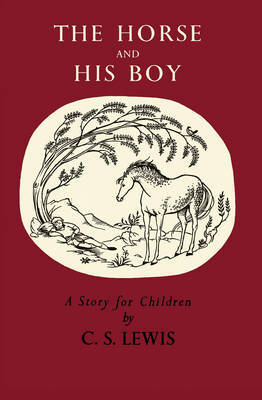 The first is quite an old book but it’s still in print and would make the perfect read for anyone aged about 9 or older. Tuck Everlasting is quite a short read about a family who have an incredible secret! They have drunk from a spring of water which allows them to live forever! As you learn more, you can’t help but wonder whether this is a fabulous thing…or in fact a terrible curse. This book really gets you thinking and that’s the reason I love it so much! Beautiful description, great characters and some really big questions about life that will get readers chatting with their friends and family for hours! An incredible read! The second book I’d give away is The Unluckiest Boy in the World , again ideal for those aged 9 or older. There’s no doubt that the main character in this book is under a terrible curse. Nothing goes right for Nicholas Frith! But the way he deals with the problems and learns to think about his life, with the help of his family and friends, will make all readers laugh and maybe cry…but certainly think a lot. If a book can do all that, then it must be sort of magical! That’s the reason I’d give this book to everyone I could! 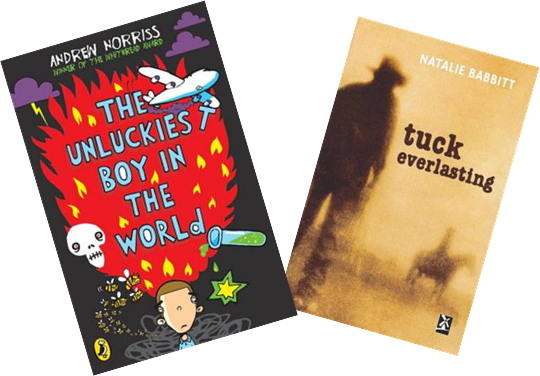 With a copy of ‘Tuck Everlasting’ in one hand and a copy of ‘The Unluckiest Boy in the World’ in the other, readers would be set for a really perfect ‘World Book Day’! And there would be lots of wonderful discussions about what they have read in the days that followed! I would give every child a small red passport-sized blank Muji notebook to do a comic diary for a few weeks. The quality of the cover material and the off-white paper inside these notebooks is delicious. 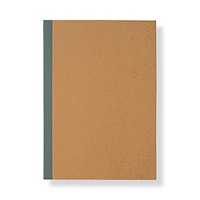 The passport style suggests going on a journey, perfect for starting a story. I buy these notebooks by the dozen (they’re 95p at the time I write this) and I bring some out with me if I’m meeting someone with kids. The kids always love them and start drawing and writing in them immediately. It’s a funny, touching, life affirming WONDERFUL book, and every time I read it it makes me happy … so I’d like to pass the feeling on. Why? Well it makes one think about the world and one’s impact on it. It’s thoughtful, while still being amusing. 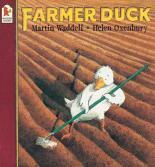 Farmer Duck, by Martin Waddell & Helen OxenburyBecause it is the book that first inspired me to write for children. “There once was a duck who had the bad luck to live with a lazy old farmer. The duck did the work. The farmer stayed all day in bed. My favourite part of the story is when the animals creep into the house, and up the stairs, and into the lazy old farmer’s bedroom. “They bounce the old farmer about and about and about, right out of the bed…” It’s such a dramatic moment! 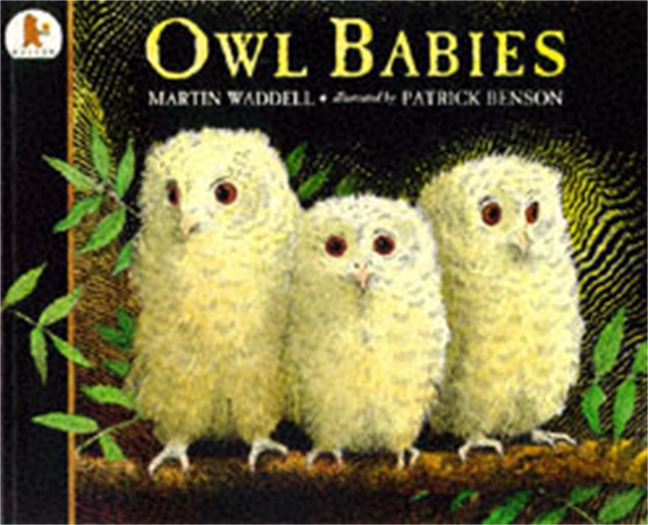 I have enjoyed reading this book over and over again, and I know my children have too. 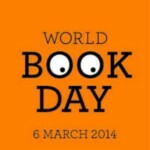 That is why, on World Book Day, I would like to give away a copy of Farmer Duck by Martin Waddell and Helen Oxenbury. 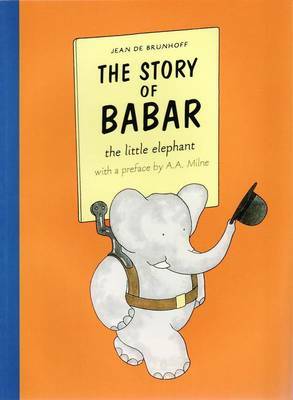 One of the great picture book heroes ever, with a brilliantly drawn cast of characters. These are spell-binding adventures, told by a master storyteller for young readers. It is one of my favourite picture books ever, and one I doubt would be published today as it has a cynical feel which some might think unsuitable for the mass market. 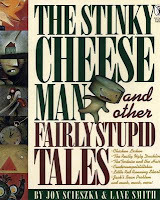 It is one of those stories with a double layer – one for children and one for adults -and a wicked sense of humour! 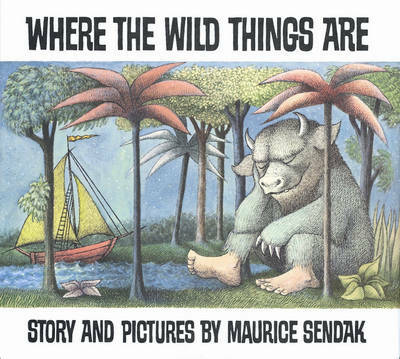 The beautiful illustrations start with a blue/green hue, which changes to yellow and then purple as the story develops and they have a sophisticated air about them; as if they were intended for political satire rather than for children. 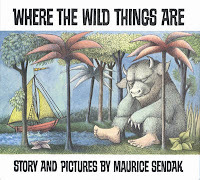 This is one story I loved reading to my kids and it sits on a shelf above my desk to inspire me and make me smile. Armin’s book tells a great story of belonging and prejudice, while his pictures don’t mince his words. he gets to his point. It’s a starkly beautiful, desaturated world dealing with a universal subject which spans many age groups. I have two copies in my den. The Lorax was always my favourite book and I kept re-reading until the pages fell out! Even now, as an adult ‘Kid’ I still quote from the book – especially the line – “I am the Lorax, I speak for the trees” – the environmental message touched me back then and is even more important these days. For me, the Lorax is a 10 out of 10! To Kill a Mockingbird is still my all time favourite ‘words only book’. To tell such a powerful story through the eyes of a 6 year old girl is to me, pure brilliance. Oh to be able to write like Harper Lee… sigh. 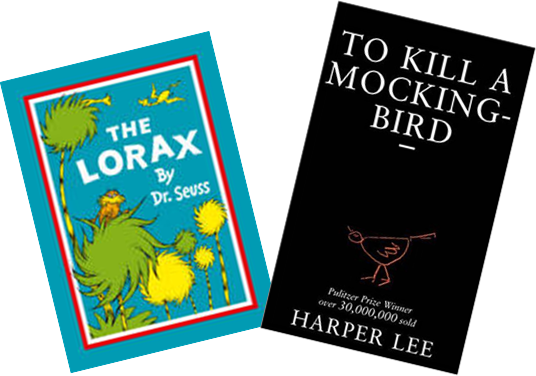 There are so many wonderful books, but speaking personally, these two touched me the most. It is one of my favourite books and I would recommend it to everyone. It’s full of clever uses of text and the illustrations have a wonderful if slightly dark feel about them. 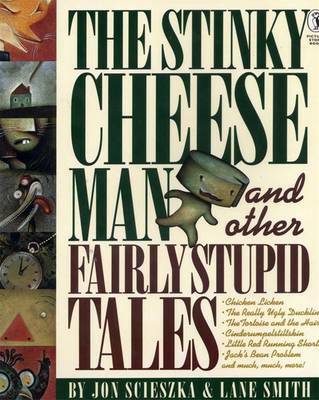 It’s a collection of well known fairy tales all given a weird and funny twist. 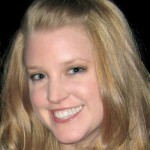 Like the ugly duckling… who just grows up to be a REALLY UGLY DUCK. Which still makes me laugh even though I know the ending! This is a picture book for older readers and one to treasure because it is a work of art, you’ll want to pour over again and again. 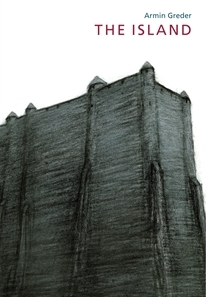 Shaun Tan’s illustrations will literally take your breath away. The story itself is a fiercely poignant one, it is based on the colonisation of Australia but it still resonates strongly today. Shaun Tan’s clever use of colour and scale portray the mood and feeling of the story so well, you cannot help but be awed. I think they are brilliantly funny and energetic and even though they were created in the 1950s, the humour and naughtiness are still relevant and entertaining for children today. They are also incredibly stylish books, beautifully illustrated and with lots of funny little details in the backgrounds which could be found when the books are read for a second and third time – and you’ll want to read these books more than once I assure you! It’s a beautifully-written, thought-provoking, book. I recommend it to everyone. It’s the perfect picture book. It has wit and heart and beautiful, unusual pictures. Slow Loris is overlooked at the zoo by visitors and animals alike, because he is slow and boring. 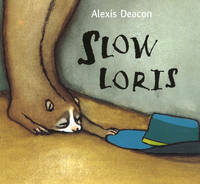 Slow Loris isn’t his real name, it’s just what people call him. His real name is Loris. BUT… at night, when all the other animals are asleep, Loris reveals his wild and speedy side. I do a writing workshop for children in which we all make mini-books called ‘My Secret Life’: it always goes down a storm. Maybe that’s why I love Slow Loris so much. It tells us what every child loves to hear: people might think you’re pretty straightforward and what you see is what you get and you just go to school and have mealtimes and stuff. Ha ha – if only they knew! It’s not one of the best-known of the Narnia books, but it was my favourite book as a child. It has everything – daring escapes, a perilous journey, a young hero who thinks he’s useless most of the time and almost accidentally saves everybody (and then turns out to be a prince, it really is a fairytale). An arrogant heroine who’s brave enough to give up everything she knows. A massive battle, which should be exciting and actually turns out to be rather horrible. And the world’s best sidekick, Bree, the fabulously proud talking horse. I want to go and read it again now! Wow melanie, this is amazing! What a great post, and lovely giveaway! A very special and meaningful post. Well done. What a brilliant post – totally totally love it!!! Don’t forget to enter the competition! What a lovely idea for a post – simple, informative, and fascinating. It would be great to ask the same people again a year from now to see how many of them have found a new favourite book to suggest.